Get the 21 Day Fix OR Fix Extreme FREE! What? Come on Angie…you’re pulling my leg! Nope. It’s true. 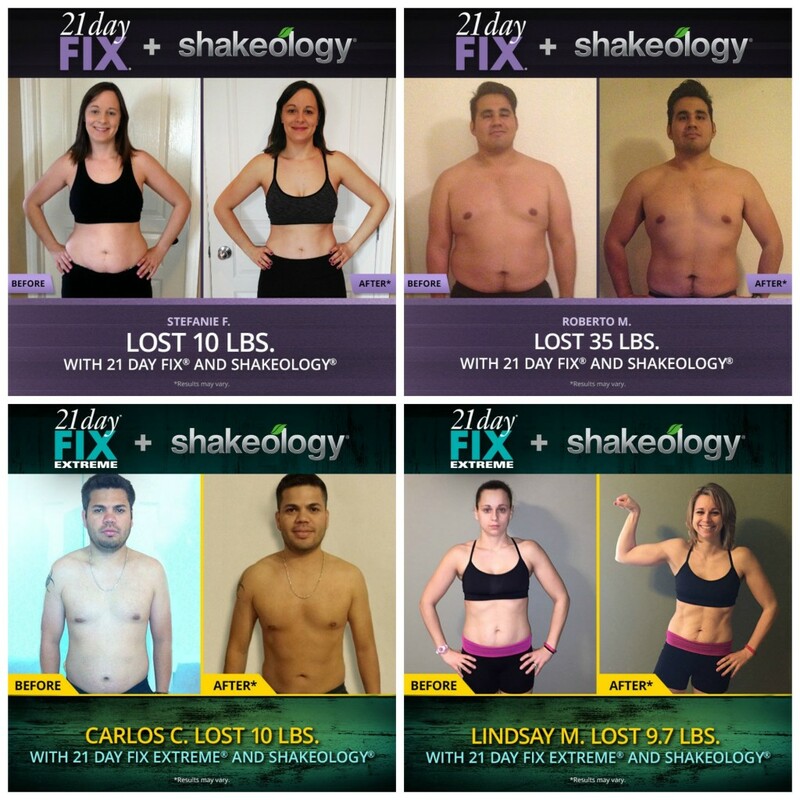 When you purchase Shakeology this month, you can get the 21 Day Fix OR 21 Day Fix Extreme for FREE (vs. a one-time shipment of Shakeology). So there it is! 🙂 If you’ve been dying to try either one, NOW is the time to jump on it! When you purchase a “Challenge Pack”, you also get a 30 day FREE trial of Beachbody on Demand – stream your workout anytime/anywhere! People in my groups have been LOVING this program month after month because it works! It’s so simple! Dial in your nutrition. Get your portions figured out. Add 30 minutes/day of exercise and you WILL absolutely get results! Women in my groups who stick with it for 21 days generally lose up to 10-15 pounds. Men (for whatever reason) tend to drop even more! Grrr! And when you do several rounds in a row…you’ll end up like Michelle (one of my challenge participants) who has lost 13 pounds and 22 inches! And she reports that she’s seeing her ABS for the first time since having her kids! How fantastic right?! Depending on what package you get, you can save $70-$95 dollars this month! You can also add the 3 Day Refresh if you want a nice kickstart! I lost 5 pounds the last time I did it! (In 3 days!) It’s a nice reboot/refresh before jumping into the 21 days! Ready to get working on your “after” picture now?! Pick a package and join my next VIP support group! Previous PostPrevious On a Quest for Good Protein Bars?